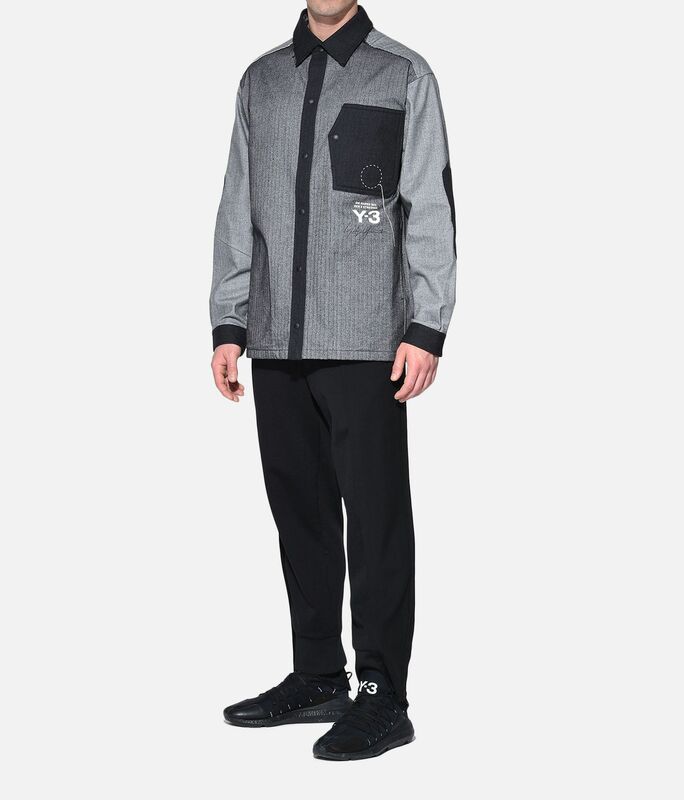 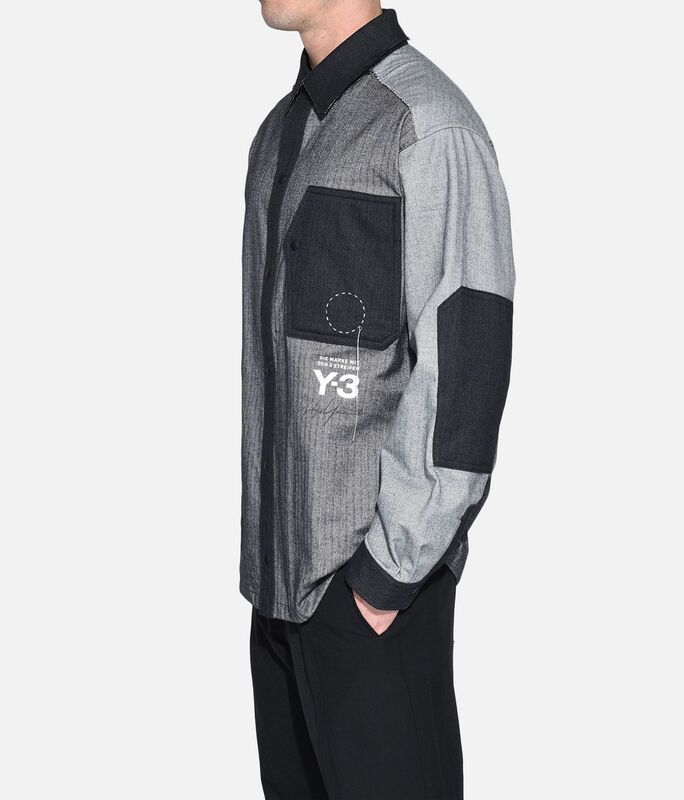 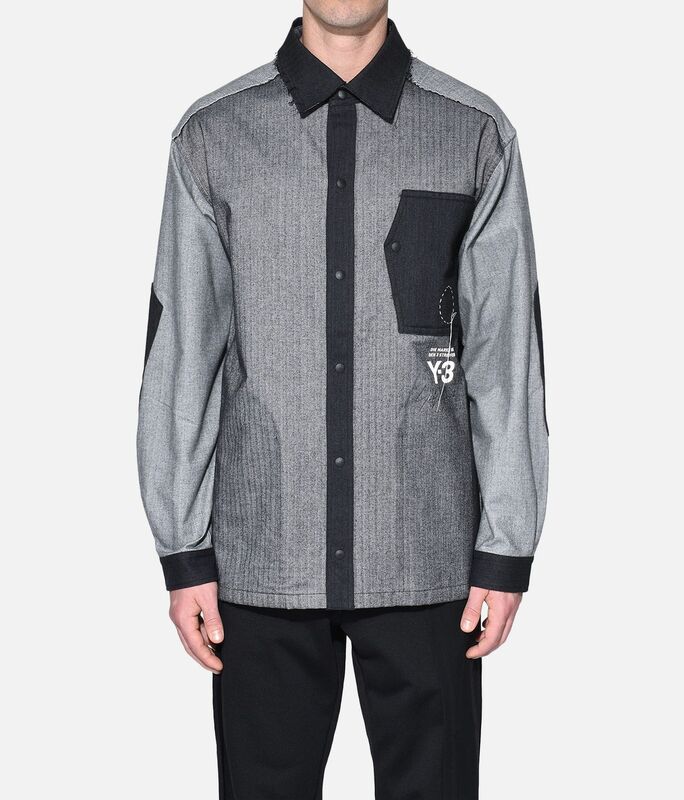 Provoking convention, the Y-3 Herringbone Overshirt has a tailored look offset by bold, contrast accents. 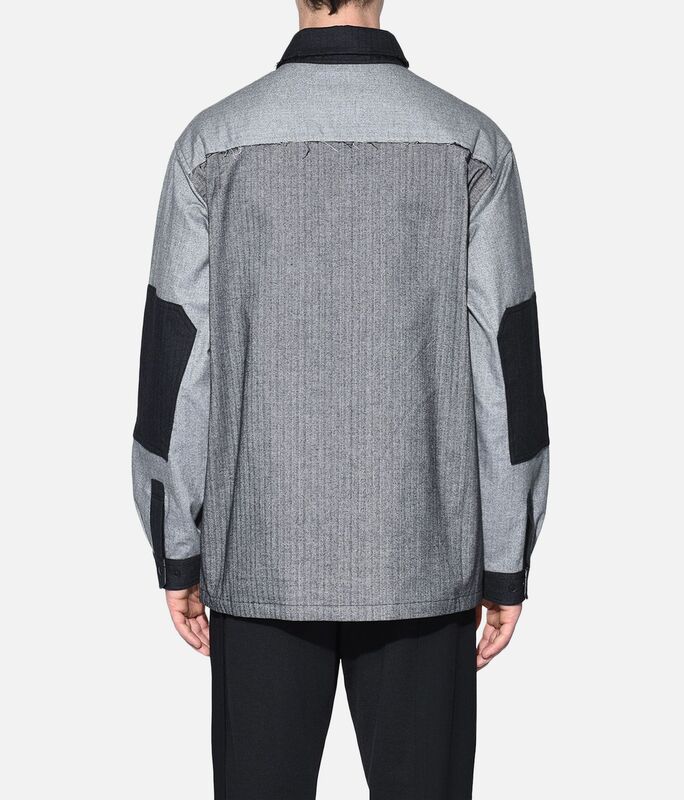 The versatile style has an oversize shape and can be worn as a shirt or a jacket. 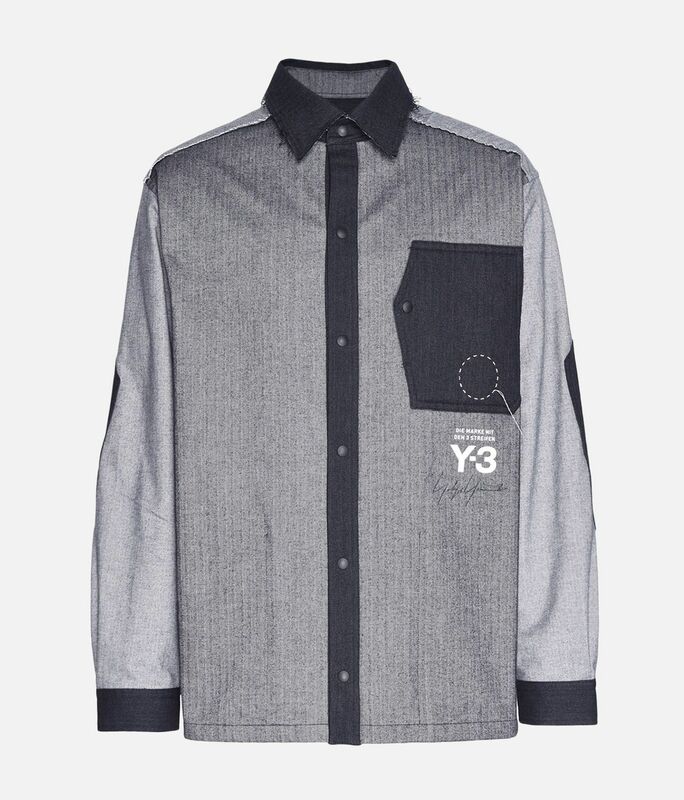 It's designed with added stretch for fluid movement, and elbow patches accent the sleeves.